The 1975’s Matty Healy recently sat with DIY magazine, where he shared his recent struggles, admitting that he spent some time in rehab getting help for a drug addiction. “I loved going out on stage and talking to 12,000 people. I didn’t like going back to my hotel room and sitting on my own for another three hours and then being expected to go to bed when I wanted to, I don’t know, change culture or something ridiculously grandiose,” He tells the magazine. 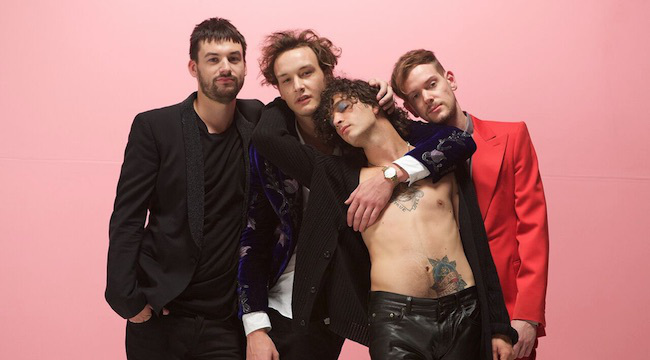 Prior to the recording the band’s third album, Healy shared that he knew he needed help, saying, “I knew that I wasn’t going to detox myself, so I went away and I got clean. Last week, the band dropped their new song “Give Yourself A Try,” taken off of their forthcoming album A Brief Inquiry Into Online Relationships. They also announced that they will be putting out two albums, one in October and one next May, and will be going on tour in January 2019. A Brief Inquiry Into Online Relationships is a follow-up to the band’s previous album I like it when you sleep, for you are so beautiful yet so unaware of it, which was released in 2016. The fourth album will be titled Notes On A Conditional Form.